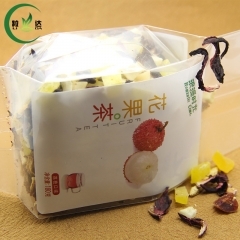 Compositive * Assorted Dried Fruit Tea! 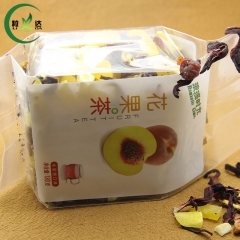 What is Dried Fruit Tea? 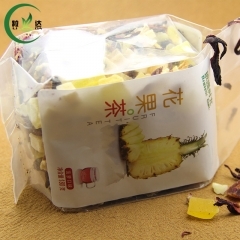 Dried Fruit Tea's make great, low calorie, caffeine-free, refreshing drinks for anytime of the day. Made only from carefully matched flower petals, dried fruit and berries, they all have high levels of vitamin A and C and mineral acid. All our fruit teas are made without any added sugar, and so naturally have a very slight sour taste. Can be served hot or iced. If you'd like a slightly sweeter drink, simply add a small amount of sugar or honey. 1.Whiten Skin-very helpful for beauty woman! 2.Protection against the cold . 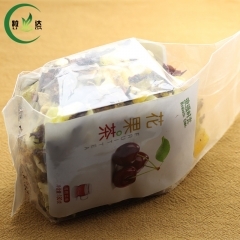 5.Cool blood , clear heat and toxic, promote metabolism. 6.Regulate the body's physiological function and optimize the human physiological indicators. 1. 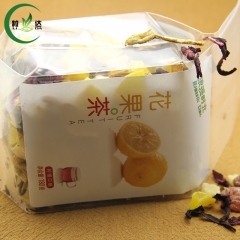 Place enough dry fruite tea to cover the bottom of the cup with a single layer. 2. When these tiny bubbles cover the bottom of the pan, pour the water 100°c(212F) into the cup. 3. Cover and wait about 20 seconds until the dry fruite tea begin to open, then watch as they settle, stroking the liquid occasionally with the lid. 4. In 30 seconds your first sip is ready. 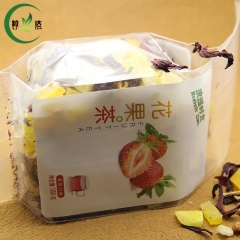 180g Cherry Flavor*Assorted Dried Fruit Tea F..
Cherry Flavor *Assorted Dried Fruit Tea Food ..
180g Litchi Flavor*Assorted Dried Fruit Tea W..
180g Pineapple Flavor*Assorted Dried Fruit Te..
180g Juicy Peach Flavor*Assorted Dried Fruit ..
180g Lemon Flavor *Assorted Dried Fruit Tea W..
180g Strawberry Flavor *Assorted Dried Fruit .. 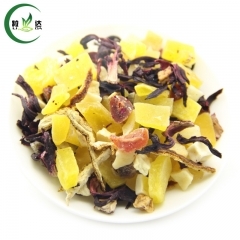 Dried Osmanthus Fragrance Flower Herbal Tea..
Best Quality Herbal Tea Myosotis Sylvatica Dr..